On occasion, you might have to use different plan templates like business plan templates in order to help guide your course of action. 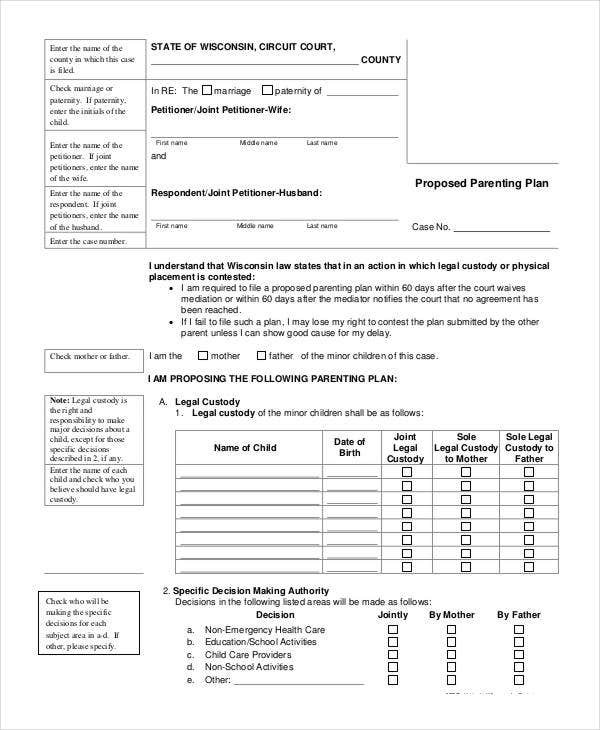 This can also be applied to plan templates like parenting plan templates, so as to guide parents as to what to do after separating. 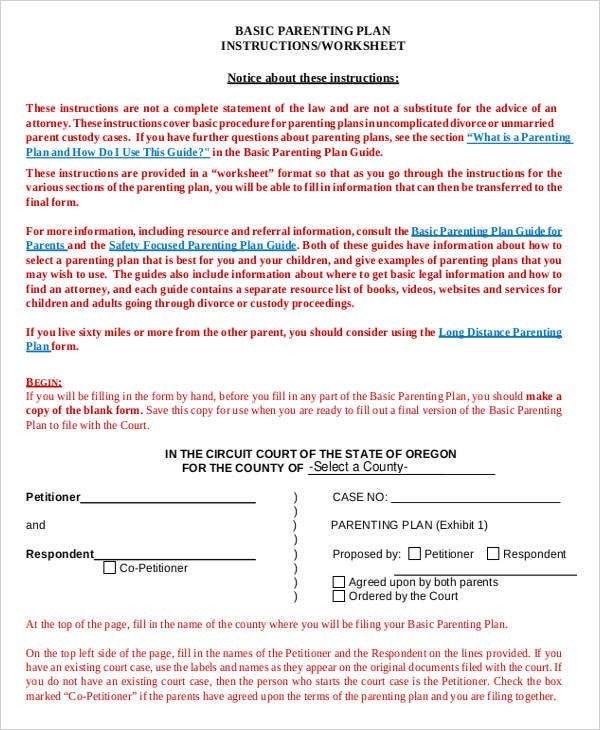 Just like other examples of plans, such as a marketing plan, a parenting plan can provide a convenient guide for what its users would have to do. 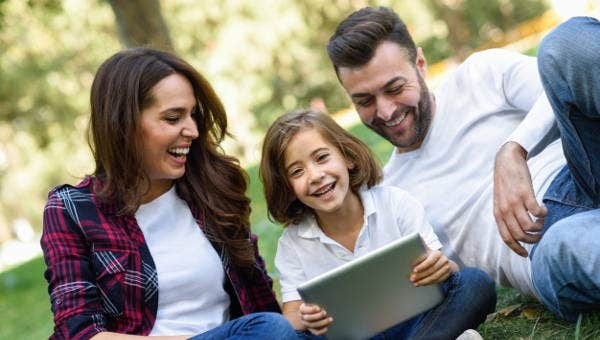 In this case, a parenting plan’s main concern is with ensuring that both parents fulfill their duties to the children, in spite of any separation, so as to contribute to their development. 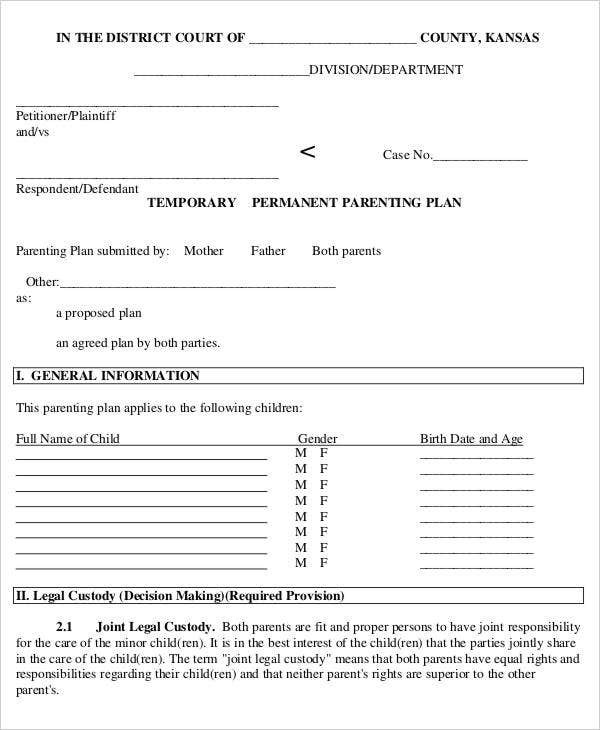 First, include the names of the parents, so as to make document refer to them specifically, just like a simple business plan template would include the names of its parties. Also include the names of all children afterward, so as to make that fact clear as well. 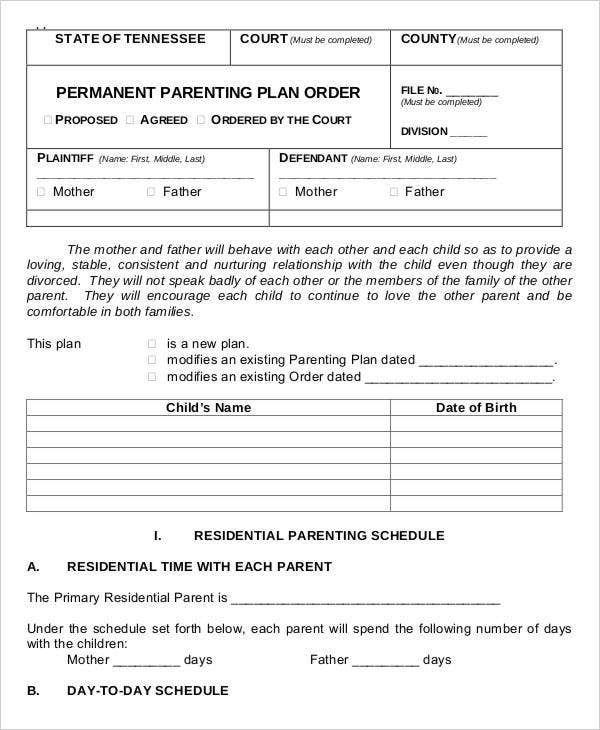 Be sure to include the responsibilities that both parents would have to conform to, such as stating that parents have to share information, refrain from involving the children in their disputes, etc. 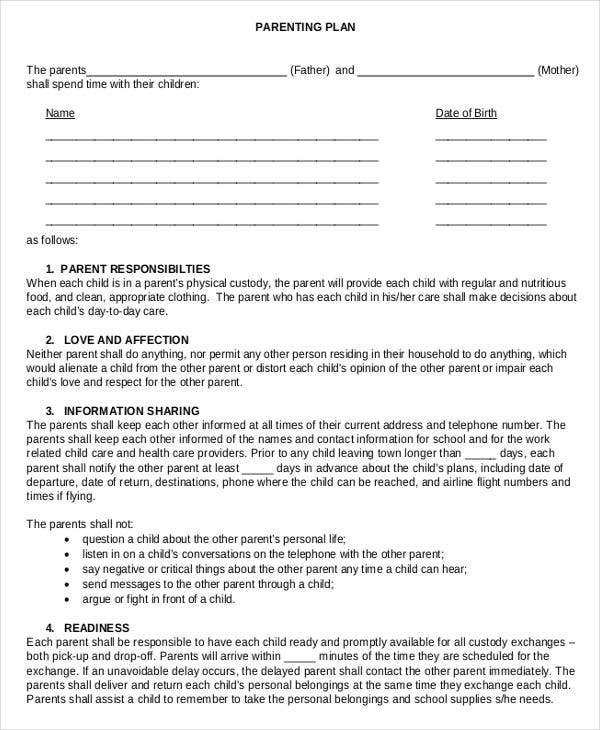 Information sharing, as both parents can be required to share address and contact information so as to ensure that they can always keep track of the children. 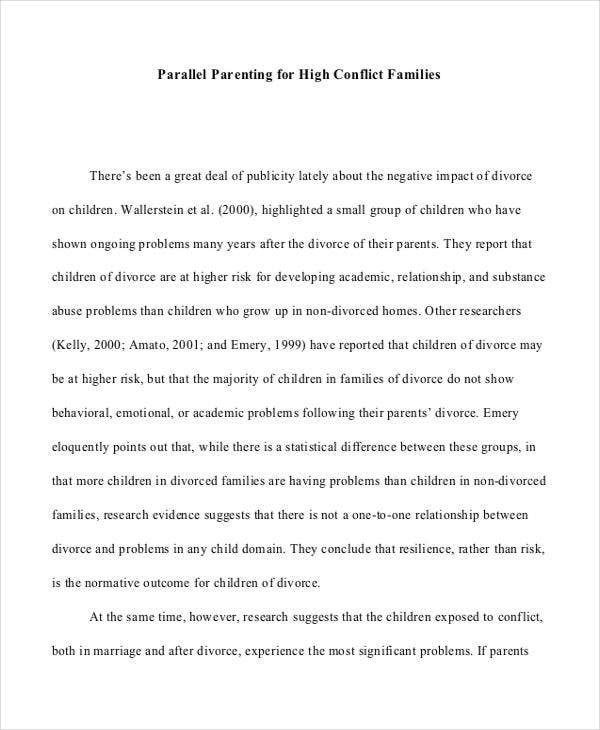 Keeping the children out of any disputes, as this could be detrimental to the growth of the children. Finding a consensus regarding shared time. 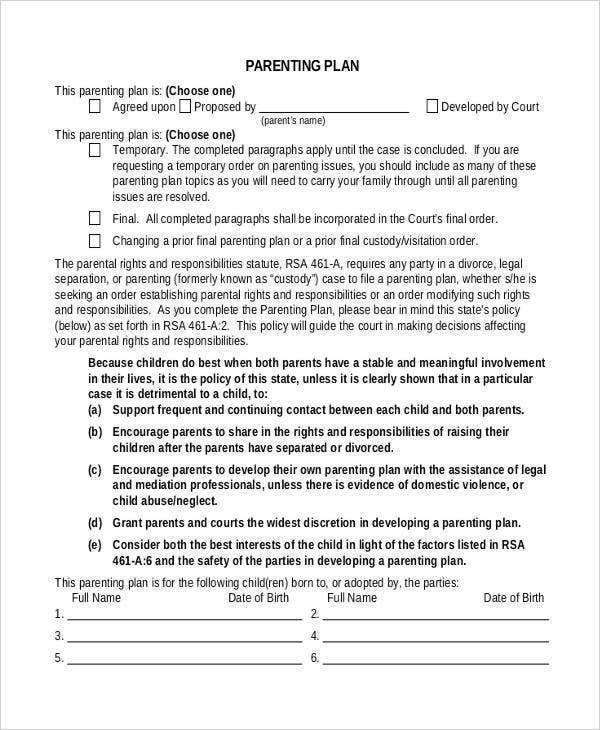 Both parents would be required to have a presence in the lives of their children, and this requirement makes that easier. 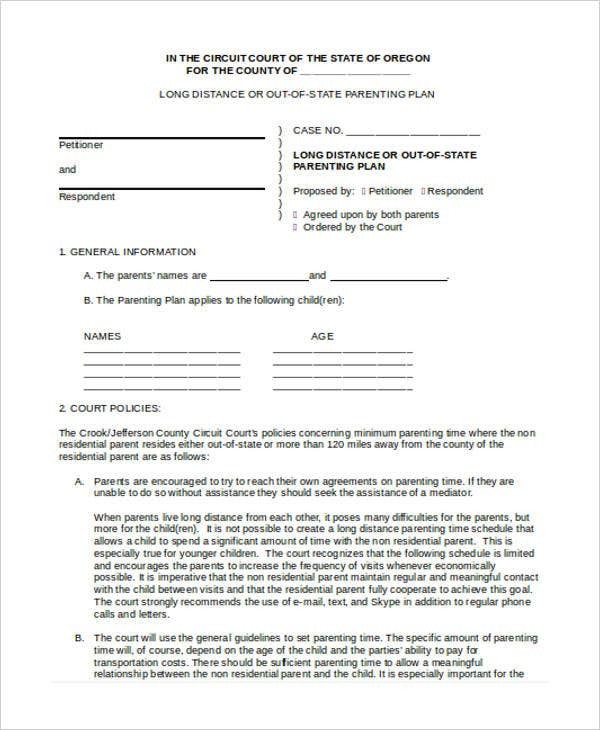 Determining custody, as this can help determine how best serve the children’s needs, rather akin to a small-scale strategic plan template. In order to make your plan templates in PDF more effective, you may want to take advantage of certain tips that may well help you use the templates more effectively. After all, there are usually things you can do with these templates so that you can make the most of them. Be as specific as possible. This would allow you to make sure that you can have as accurate information as possible. This also ensures that the obligations of both parties are spelled out clearly. Make sure to check all the different templates. There are a variety of templates available, so it may help to check them all so as to be sure that you choose one suited to your needs. Have as complete information as possible. This makes it more likely that your plan has all the information you need to impart to both parties, so it can be used like personal development plan templates. Include instructions as to the use of the plan. This would make it easier for people to use, and might head off misuse of the documents. And if you need other kinds of templates, it should be fairly simple for you to find them on the site so as to give you everything you might need.